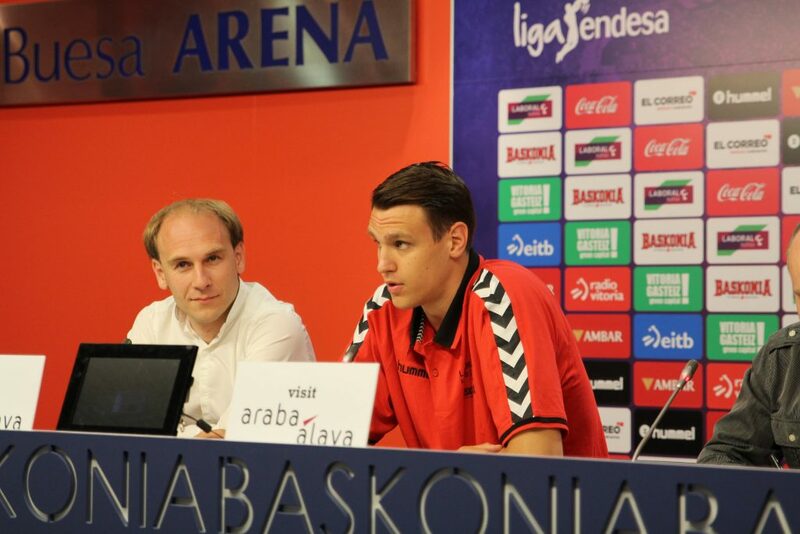 Johannes Voigtman has been introduced as a new baskonista player. Voigtmann, 23-years old, signs a 3 years deal and will wear number 7. Johannes describes himself as a solid player with atypical skills. “I am good passing the ball, shooting from the key when I’ve got position and also I consider myself as a good teammate.” German told. Voigtmann believes he has all the potential to succeed in Baskonia and he “will give a good level to accomplish this challenge”. First signing for Baskonia has praised his new club’s greatness. “After last season everybody knows who Baskonia is”, said. He also stated he talked to Tibor Pleiss, former baskonista and Germany NT teammate. “He gave me great references about Baskonia, telling me it’s a club where players can develop their game and show a high level,” added. Voigtmann highlighted the facilities and management around the club, as well as the fans. “My father went to the last Euroleague Final Four and told me their fans are by far the best, cheering the players all the time even after a tough semifinal loss,” continued. About his possible future in the NBA Voigtmann says “I am not obsessed”. “Every player has in mind taking this step but European basketball suits me so it’s an interesting thing but I am not concerned about it right now,” resumed. Fernandez also admitted there has not been any offer for Baskonia’s players who have their contract guaranteed next season.